Those who are in opposition to Trump or any of his policies (concentration camps filled with children, Muslim ban, needless wall, needless government shutdown to build a needless wall) breathed a sigh of relief last November when the Democrats took back the house, and found an unlikely hero in a woman who has been a career politician, but put up a strong fight during the shut down without caving in, Nancy Pelosi. 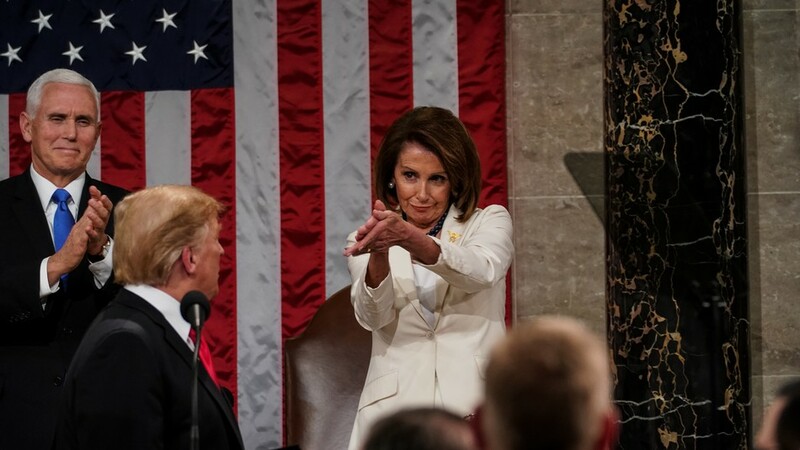 The speaker of the house has become a meme friendly figure for a specific audience at 78 years old, and that reached its zenith when Nancy Pelosi was observed giving Donald Trump a particularly sarcastic clap at the end of his usual, factually questionable, State of the Union speech. The clap has now been memefied by the internet, and #PelosiClap became a hashtag denoting a sarcastic clap. Maybe it’s your significant other clapping for you doing a basic minimal chore. Maybe it’s you trying to be polite to a coworker but you still want to denote that you think the job handling the damn Reynolds report, well, the Pelosi clap is here to help. Check it out below. Them: I can’t be racist. My best friend is black. And of course, some people thought that it looked a lot like the Baby Shark dance. You know, the one the kids like! Some on Twitter however had issue with the Pelosi clap in general, decrying the use of political theater as something long past, and propping up examples such as Alexandra Ocasio-Cortez, who sat without clapping or standing throughout the entirety of Trump’s speech which, again, did not make any reference to Puerto Rico, the children separated from their parents, or any problems involving Americans who are non-white, thus being out of the purview of the “fine people on both sides” president. I like slightly sarcastic clapping as much as the next guy, but I hope we're evolving from that to AOC's approach. She seems like she's trying to be authentic in public settings. I've never really been into political theater. I appreciate it. What did you think of the speech? Let us know in the comments or on Twitter at @WhatsTrending.